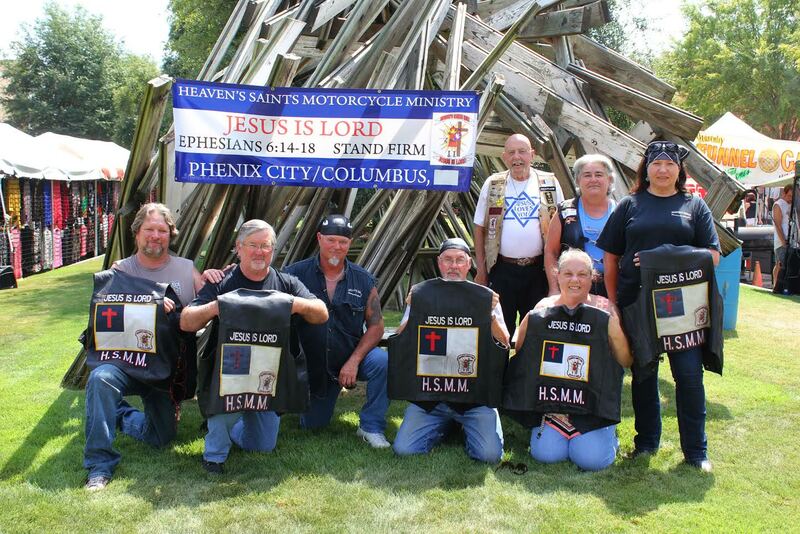 Out chapter is the oldest in the Heaven’s Saints family. At one time we had over 16 members, but do to members leaving/retiring for health and old age as well as other reasons, we have 11 members at this time. We are involved with MC events and toy runs each year. There are 4 MCs in our local and surrounding areas. We also are heavily involved with Warrior Outreach of Harris County. We annually have a booth at Bikes on Broadway and hand out bibles and crosses to those who would like them, and do bike blessings. For more than 10 years we have done a blankets for the homeless event each fall. This year we are doing our first toy run for the children of Phenix City and Russell County.